Manchester by the Sea (2016) – Movie Review – Another Movie Blog! Grief is a process. It’s a process that can stick with people for the rest of their lives, and that very few can be privy to. But in the immediate aftermath of tragedy, it takes the backseat to other processes: arranging funerals, allocating possessions, rearranging your lives and the lives around you to achieve the closest thing to a new status quo possible. But all the while grief sits there, with no nurture, weighing down on all the other actions, forced to wait before it gets the attention it desperately needs. It’s been years now since Casey Affleck’s extraordinary turn in The Assassination of Jesse James by the Coward Robert Ford, but with his performance in Manchester by the Sea he may have finally outdone himself. It’s a performance that goes on near entirely in the eyes. You keep waiting for “that” scene of emotional breakdown, but despite one or two pub brawls it never comes. Yet, at the same time the presence of the possibility is always there, and its vulnerability takes the characters actions – which in another movie would make him irredeemable – and make it painstakingly real. This is also true of Michelle Williams as Randi, whose role is short but so pivotal that her presence is felt throughout. We want to see her more, but throughout the course of the drama we know why we can not. Williams’ role is the perfect counterpoint to Lee’s stoicness, and short arc culminates in a scene which is bound to break many people. Lucas Hedge also shines as Patrick, Lee’s nephew, dealing with his grief with awkward teenage masculinity that also provides some of the film’s most noteworthy scenes of comedy. Because the film is also really funny. Honestly. The world goes on despite tragedy, and that also extends to the films comedy. There’s awkward situational comedy, the casual talk between people trying to go about their lives, and the black comedy found in death and grieving itself. 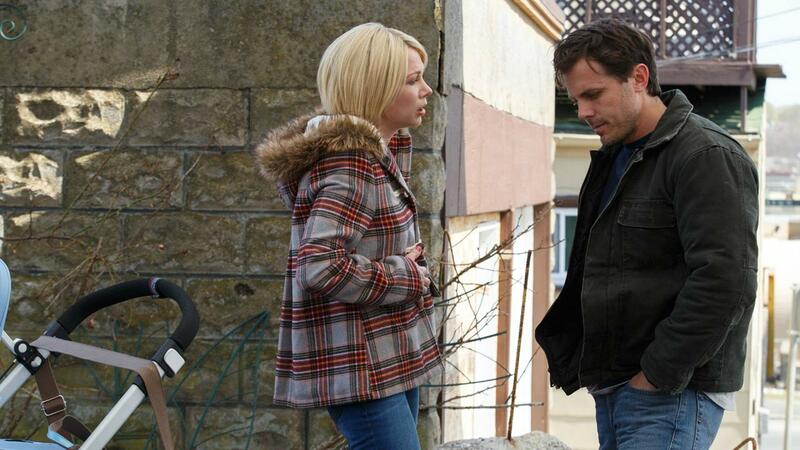 Manchester by the Sea is not as formally ambitious as Lonergan’s previous film Margaret, but the cold colour palette, quiet claustrophobia and shaggy dog storytelling ties in perfectly to its central character, whose feeling and memories the movie anchors its tone against. The films only true misstep (apart from a couple of child actor performances) comes with operatic musical queues, specifically a key flashback sequence set Albinoni’s Adagio in G Minor, a song so sad that its sadness has been parodied to the point of leaving it beyond cliché. It feels exactly like a temp track that they fell in love with too much to get rid off, but it brings a degree of corniness to what is otherwise a remarkable and shocking series of events. But by the time those events find an end in the film, it leaves you wanting more. Despite the conflict, despite the pain, despite the hard times, you still want to be there. Because grief is both an individual and a communal process. By the time you have finally found yourself, you want to be with others as long as you can.